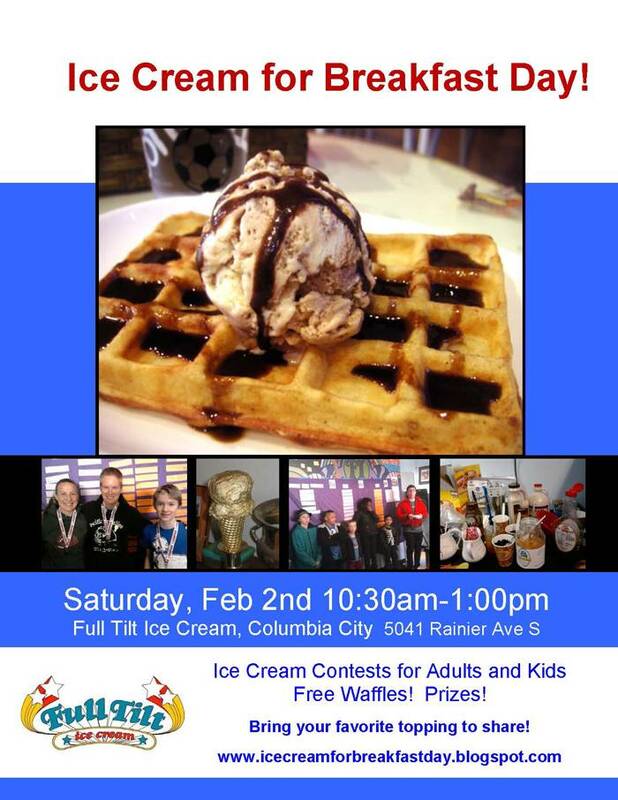 Back by popular demand, it's time to celebrate International Eat Ice Cream for Breakfast Day for the 3rd year in a row at Full Tilt in Columbia City. 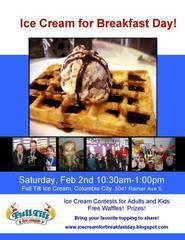 Once again there'll be ice cream contests for adults and kids. Start thinking now about the best ice cream headline, limerick, and of course best ice-cream flavor (the winning flavor may appear in Full Tilt's ice cream case). Free waffles! prizes! games! deliciousness! Bring your favorite topping to share, and money to buy your own scoop. Check out our website. See you there.